Earth seen from space, spinning quickly from night to day. Elements of this render furnished by NASA. hd00:20Earth rotation. 360 degrees. Night and Day. Looped animation. Elements of this video furnished by NASA. 4k00:10Front view of the Earth from space with clouds and land masses. Blue-green Lansflares and stars. 4K CGI Animation. 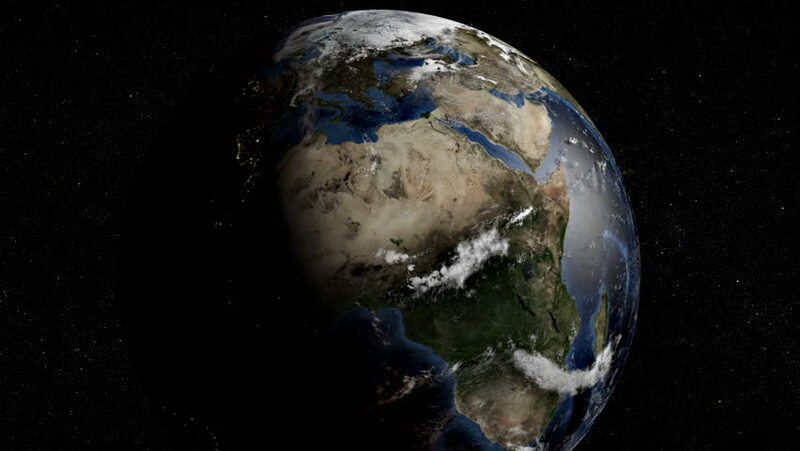 hd00:19planet earth spinning against the backgound of the milky way: computer generated video sequence of planet earth in space. Elements of this image furnished by NASA.